Ron Shevlin leads research at Cornerstone Advisors including the Cornerstone Performance Report and the Insight Vault. Cited often in the industry press, Ron is the author of Smarter Bank and a regular contributor to both GonzoBanker and The Financial Brand’s Snarketing column. He is a nationally sought after speaker, including Financial Brand Forum, Banking Growth Forum, BAI and American Banker events. 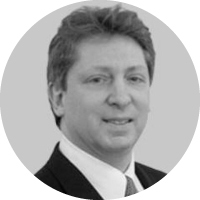 Ron’s prior experience includes research and consulting for Aite Group, Forrester, and KPMG. He is a graduate of the University of Texas and SUNY Binghamton. I would guess there are plenty of people who dispute whether I am an expert in FinTech or not, but if I am, it’s because I’ve spent the better part of the past 20 years in the technology analyst business — first with Forrester Research, then with Aite Group, and now with Cornerstone Advisors – looking at how technology impacts and changes the banking industry. In addition, I’ve been publishing my thoughts and ideas in my Snarketing blog for more than 10 years, and I’ve published a book called Smarter Bank, which has been an Amazon best seller. My top focus these days is the platformification of banking. Much like how Amazon has been a platform (i.e., a two-sided business attracting both consumers and providers), the concept of a platform business model is beginning to take shape in the banking industry, and has various applications from consumer-facing platforms developed by banks to bank-facing platforms developed by technology providers. Tom Davenport, who writes these days about analytics, has been one or two steps ahead of the rest of business world on trends for more than 20 years now. Moven. From its start, it has focused on creating a product that added – no, make that brought – value to the basic banking relationship. I love to write. Always looking for whitepaper opportunities.